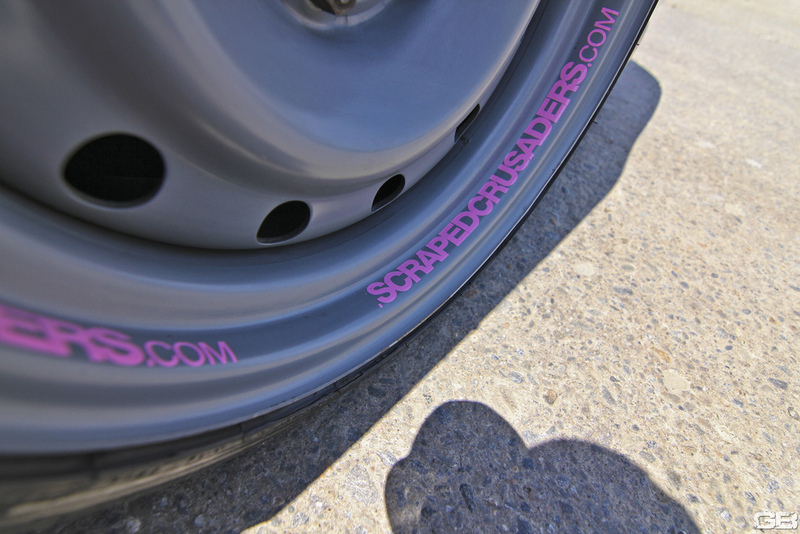 This entry was posted in Because Race Car, Dumped, Hooning, Late Nights, Lexus, Lifeintransit and tagged Black, Daily Scraped, dumped, Lexus, Lifeintransit, Night, Scrape, Sparks on October 21, 2012 by scrapedcrusaders. Deathlens finally got the chance to shoot Kristoff’s BMW. It’s been worth the wait. Moreover, it was an opportunity to get everyone out for what would have been a boring night. Spending time with the brosephs is what we’re all about. It isn’t over the top flashy it’s just big body sedan that breaks necks. 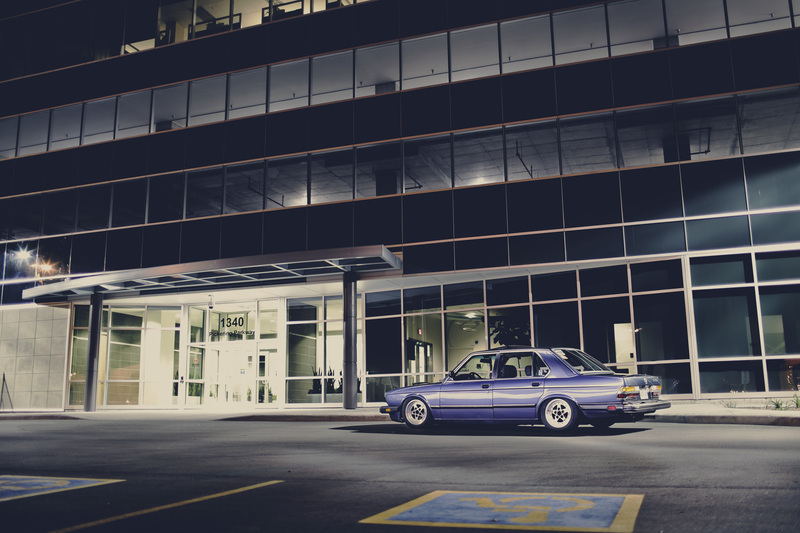 The simple formula of nice wheels and a huge drop is demonstrated to a T. Chipped M20B27, shortened strut housings and corrado shocks with 15×7 Gotti reps. We’ve also added standard and widescreen wallpapers. Enjoy. 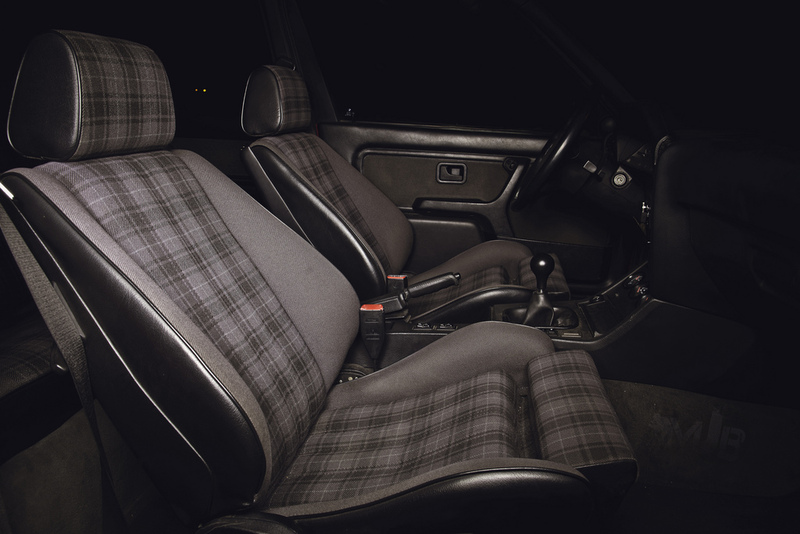 This entry was posted in BMW, DeathLens, Dumped, Feature, Hardparked, Late Nights, S.C. 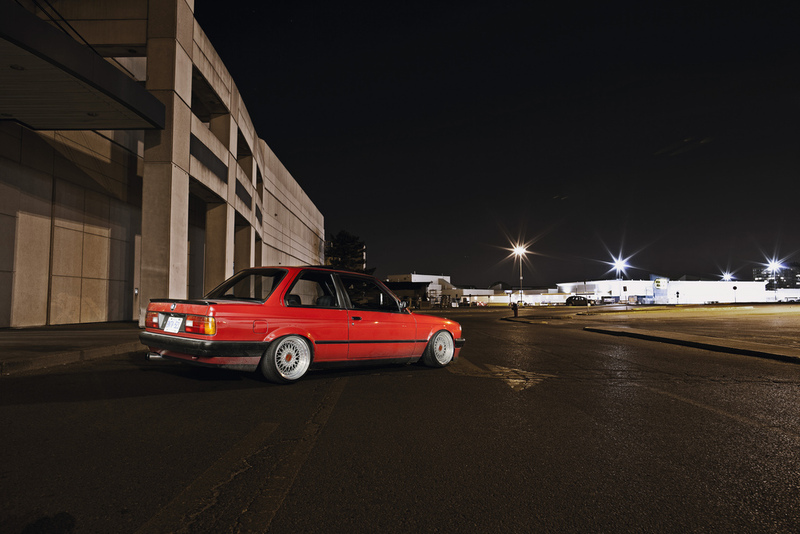 Content, SC Media and tagged 5 series, blue, BMW, Deathlens, dumped, E28, Late Nights, RWD, shoots on September 3, 2012 by Deathlens. 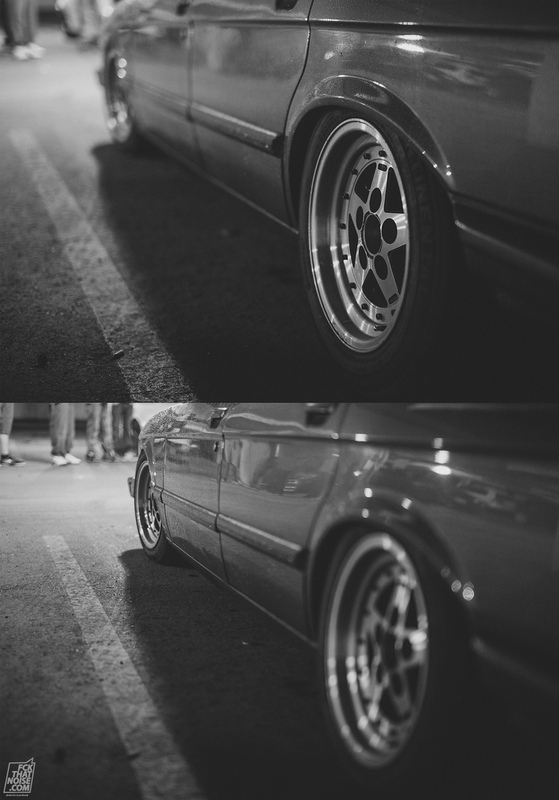 This entry was posted in Because Race Car, BMW, Dumped, Hooning, Late Nights, Retro, Shoots, Stanced and tagged BMW, E28, FCKthatnoise.com, Hooning, Late Nights, Meet on August 31, 2012 by scrapedcrusaders. You’d think we’d have pics of our own cars. Nope, relying on fckthatnoise.com. 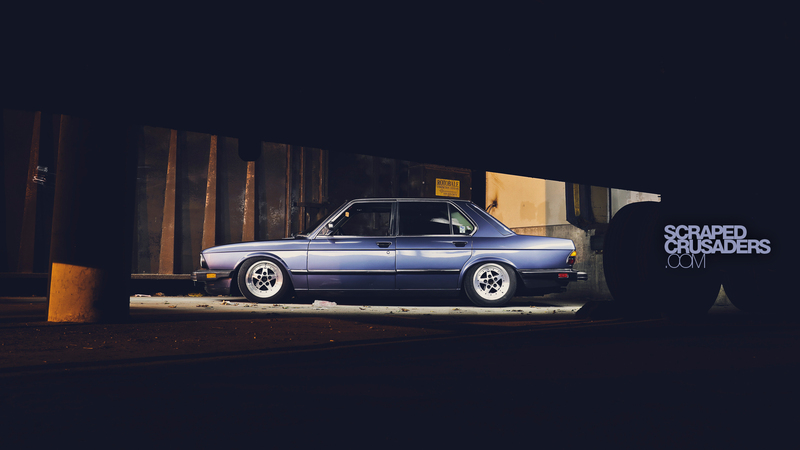 Kristoff’s E28. 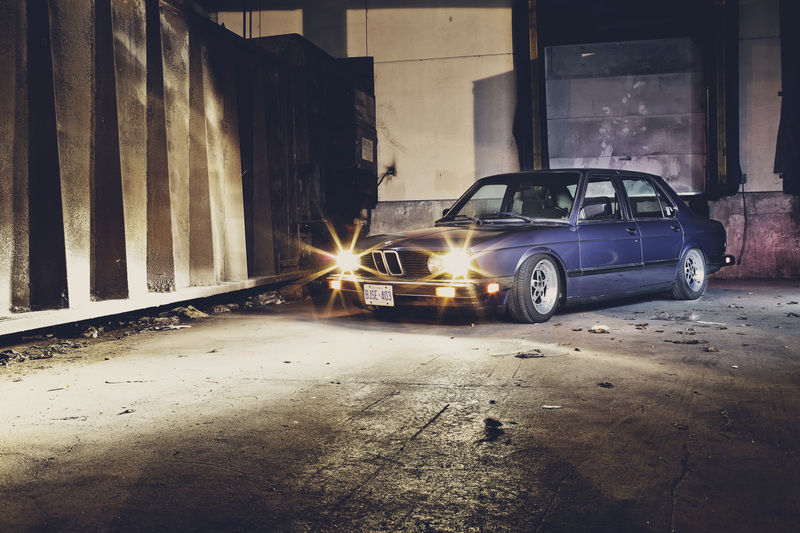 This entry was posted in Auto Racing, BMW, Daily Scraped, Drifting, Dumped, Hardparked, Hooning, Late Nights, Retro, S.C. 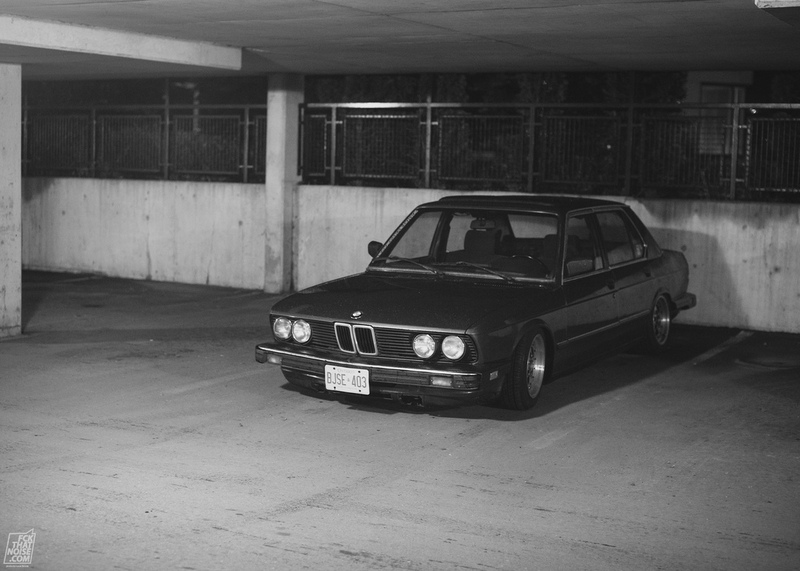 Content, Stanced and tagged BMW, BW, E28, FCKthatnoise.com, Gotti, Late Nights on August 13, 2012 by scrapedcrusaders. A night out for poutine and burritos. 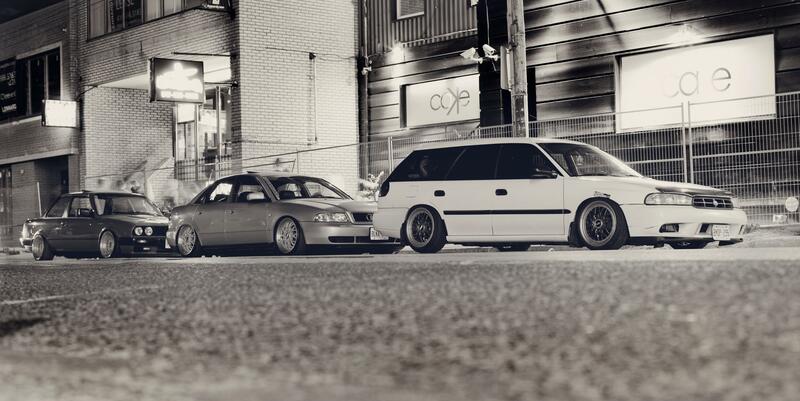 This entry was posted in Air, Audi, BBS, Because Race Car, BMW, DeathLens, Dumped, Dutchman, Hardparked, Late Nights, Matt B, Nissan, S.C. 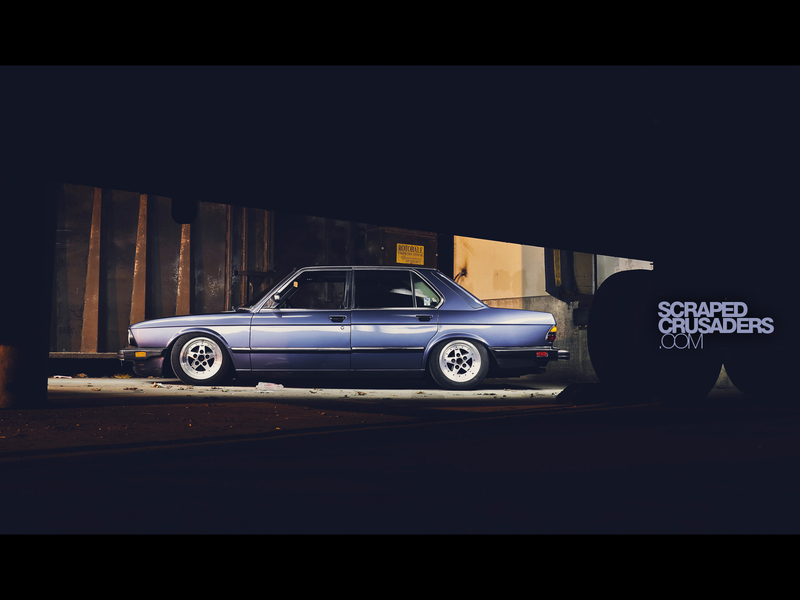 Content, SC Media, Shoots, Stanced, Steve, Subaru, Swaps and tagged A4, Audi, BMW, Burrito Boyz, Deathlens, e30, Late Nights, Legacy, SR20, subaru on July 5, 2012 by scrapedcrusaders. 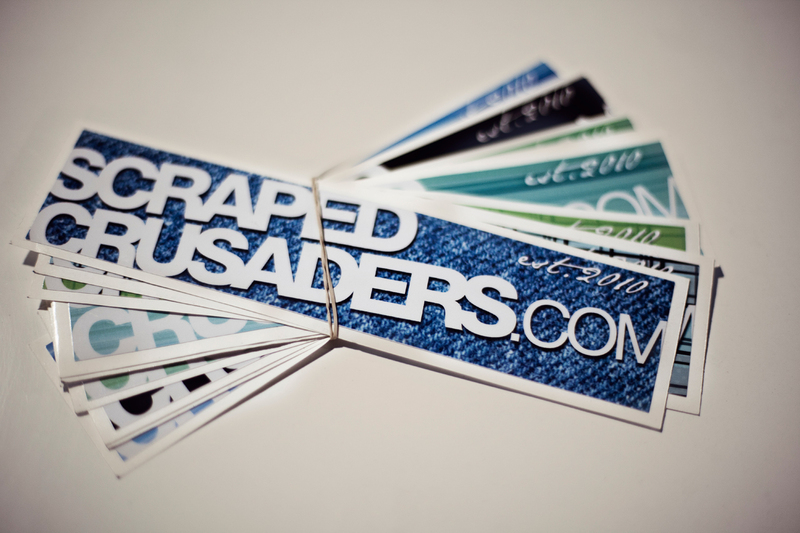 We’ve decided to create on online store for our stickers and T-shirts. The T-shirts are made with American Apparel t-shirts. And as of now are a super limited run (6). These are not the run of the mill Gilden shirts. Trying to feel out the demand. 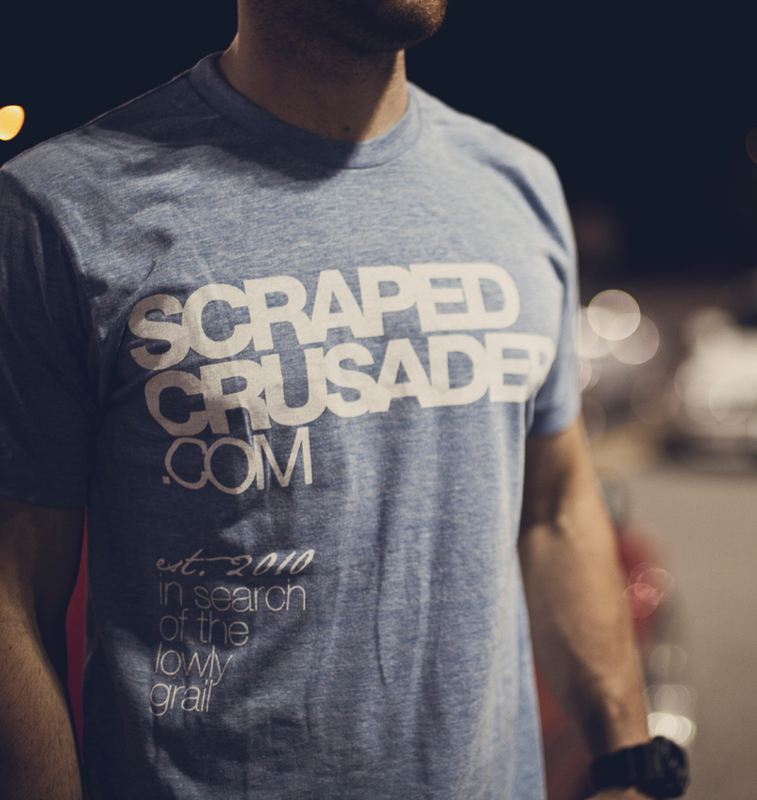 If you would like a completly custom shirt (size, shirt colour, ink colour, and cut) feel free to email at scrapedcrusaders@gmail.com. The stickers are also on a small limited run. We’re currently out of the banners though. 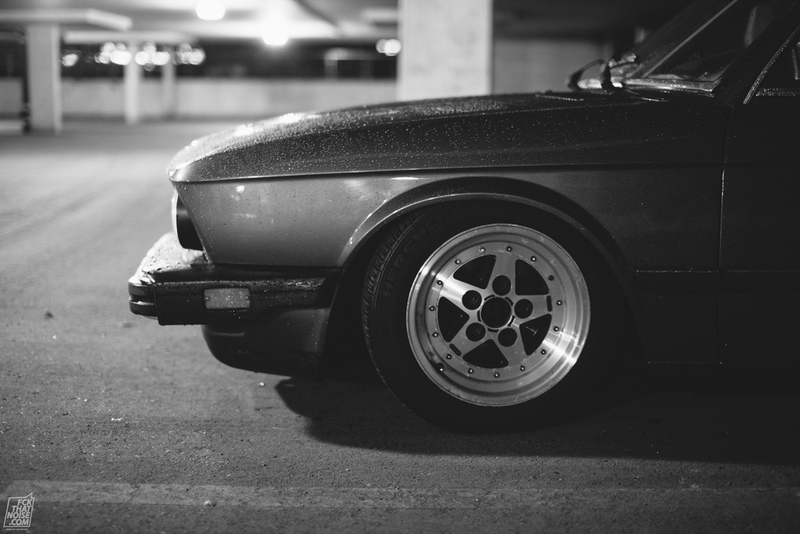 This entry was posted in DeathLens, Hooning, I hate that guy, Instagram, Late Nights, S.C. 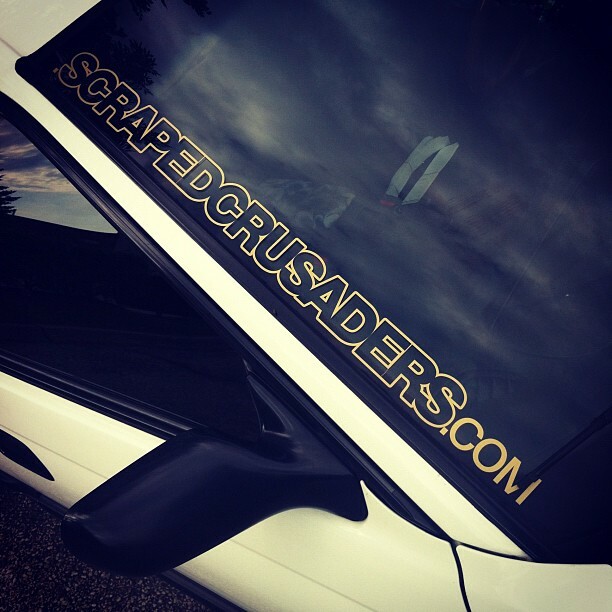 Supporters, Shoots and tagged American Apparel, Big Cartel, CryWolfClothing, Decals, F.Y.F., scraped.crusaders, Shop, Tee Shirts on July 2, 2012 by scrapedcrusaders. 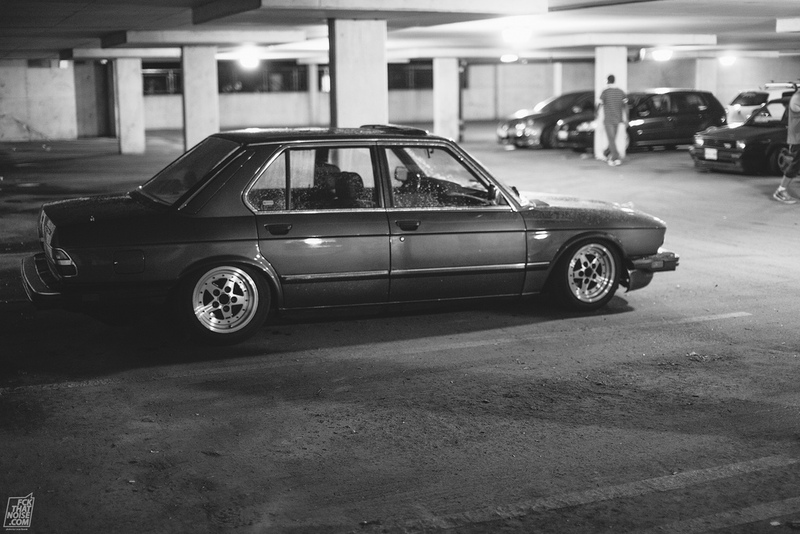 Steve’s E30 was legit last year. It’s on a ho nutha level now. Eugene Struthers. Via Deathlens. 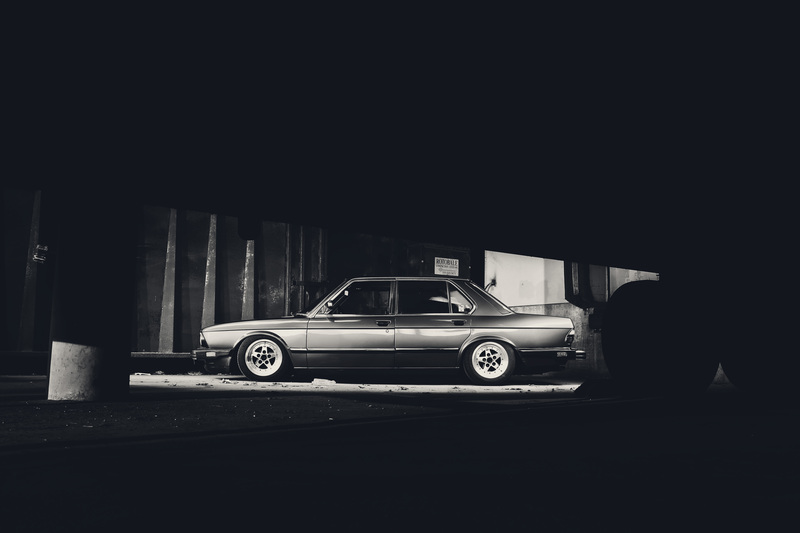 This entry was posted in BBS, Because Race Car, BMW, DeathLens, Dumped, Hardparked, Hooning, I hate that guy, Late Nights, Nissan, Retro, SC Media, Shoots, Stanced, Steve, Swaps and tagged bbs, BMW, Deathlens, e30, I hate that guy, Plaid, Red, rs, SR20 on May 1, 2012 by scrapedcrusaders.